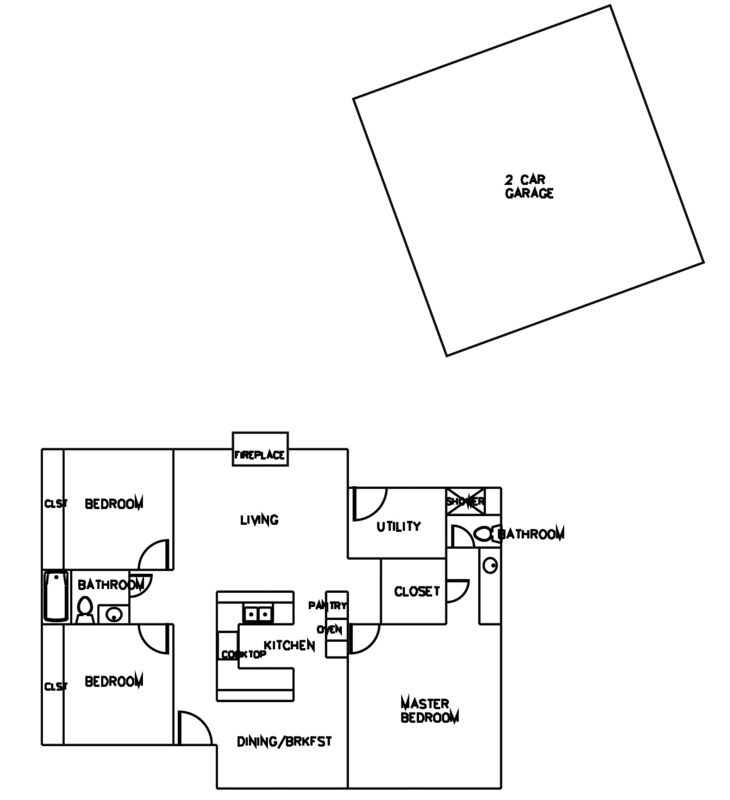 This 1580 square foot Quail Valley house has 3 bedrooms, 2 bathrooms and a two-car garage. It also has a fireplace and a cozy paneled living room. 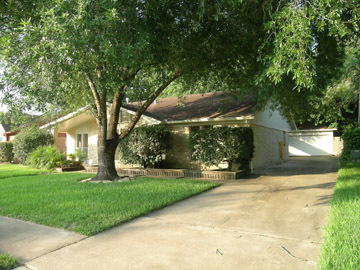 This great house is located on a quiet cul-de-sac street near the entrance to the neighborhood (QV Thunderbird North). 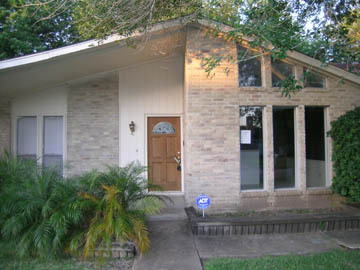 It is very convenient to Beltway 8, Fort Bend County Toll Road and Gessner/Texas Parkway/McHard/FM2234. There is gorgeous new tile flooring throughout the living room and kitchen/dining area. The house has been repainted and the AC system is also brand new. The neighborhood has nearby community pool just down the street and a large park just around the corner. 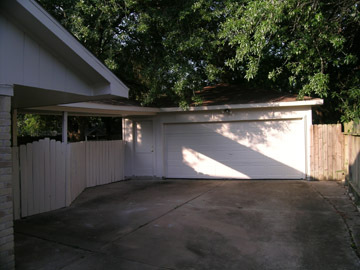 A view of the house from the street (above), the detached 2-car garage with a covered walk to the house (below). 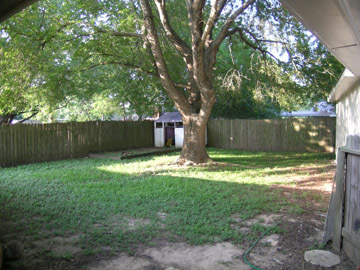 The house has a large shady backyard.